Have you ever needed a confirmation, but the lead auditor on the engagement wasn’t available? If this has happened to you, then the Client Sharing feature is a great tool you can use to solve this problem. 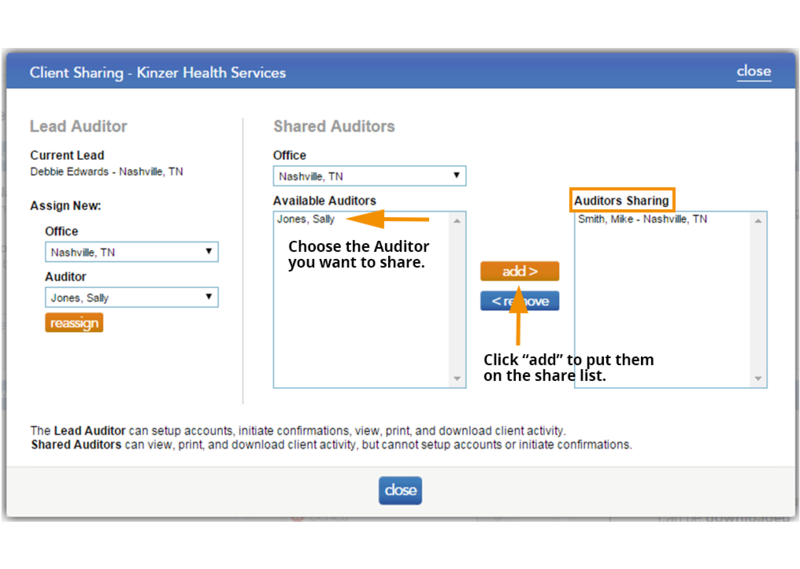 The Client Sharing feature allows the lead auditor, who entered all of the client information, to share access of that client profile among multiple auditors. There is no limit on how many can be shared and it can even be across multiple offices within a firm. When a client profile is shared, it gives the auditor access to see the status of confirmations, and even allows them to receive and download the completed confirmations. The auditor can also set up email notifications to inform them when confirmations are received. The only restrictions are that the shared auditor cannot add client accounts, obtain client authorization or initiate confirmations. Only the lead auditor can do this. As a recap, simply assign a lead auditor for adding client information and initiating confirmations, but share the client profile with the entire engagement team. That way, when the lead auditor isn’t available, everyone still has access to the information. If your firm uses an Admin to centralize this process, simply have the Admin share the client profiles to all of the appropriate auditors. 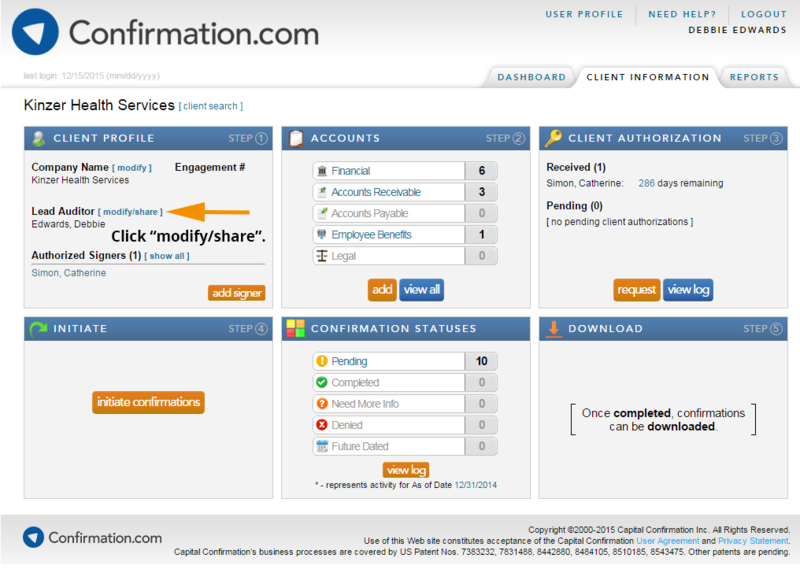 Now when you log in or receive an email notification, you will know the status of all of your shared clients and can download the confirmations when they are received. 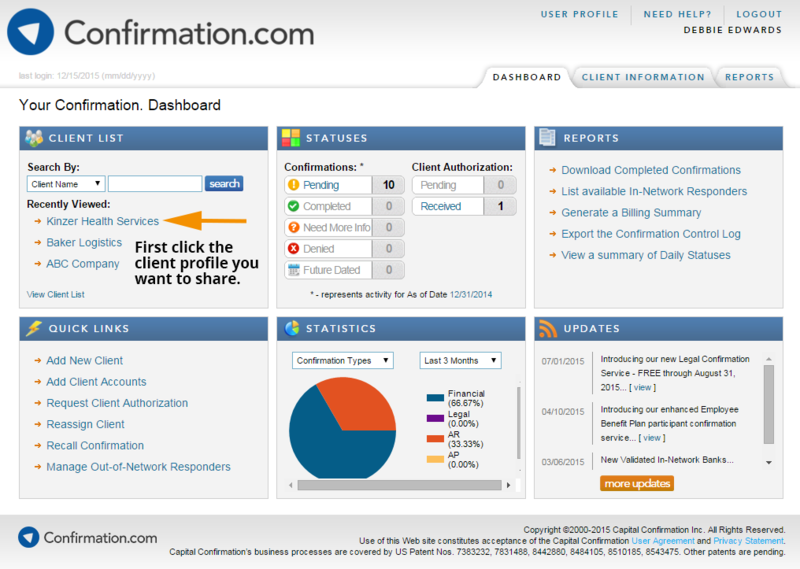 No more waiting on another person, and easy access to the confirmations you need.